Johanna A. Kecskes is an associate attorney in the Larkspur office of Bancroft & McAlister, representing and advising clients on all aspects of trusts and estate planning. In addition, she represents fiduciaries and beneficiaries in trust and probate administrations. Prior to joining Bancroft & McAlister, Johanna worked for a nonprofit organization advising parents of children with special needs on special education law. She assisted clients in developing Individual Education Programs (IEPs) and supported parents at their IEP meetings. Johanna also spent more than 5 years as a trial attorney practicing juvenile law representing parents and children in dependency proceedings. Johanna received her B.A. in Social Ecology with a specialization in Criminology from the University of California, Irvine in 1992 and her J.D. from the University of San Diego in 1996. 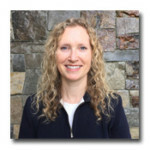 Johanna’s community work includes representing indigent clients in Community Court as a pro bono volunteer attorney for Legal Aid of Marin and serving on the Leadership Team of Marin Covenant Church in San Rafael.